Milen is a senior .NET developer and one of the founders of Nop-Templates.com. His obligations to the company have seen him deal mostly with sales and business development, which he takes on with the kind of persistence and pedantic precision you can only learn from years in the development field. His passion for the work and the company can only be compared to the same he has for his snowboard. It was his old childhood business idea for a board shop, which brought his attention to nopCommerce and evolved into what Nop-Templates.com is today. In his free time, Milen absolutely loves going out in the mountains with his board, bike or just on foot. When not on the move he loves playing the guitar, especially acoustic covers of his favorite old-time punk and ska bands, tunes yet to be appreciated by his fellow colleagues. 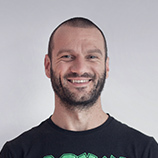 Stefan is one of the founders of Nop-Templates and the lead of the web team producing the amazing themes. Not only is he always striving to implement and integrate the latest innovations in our products but also listens to the customer's voice and feedback and often takes care of support tickets. He is also open to new ideas and suggestions from the other team members and gives his heart to make Nop-Templates.com the best place for nopCommerce themes. 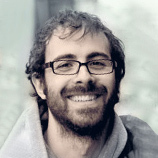 When he is not discussing the latest theme with marketing or integration of the plugins with the backend developers, he can be found organizing the next team building, arranging the weekly soccer game between Nop-Templates and other companies, snowboarding or watching the Taekwon-Do world championship on the TV. 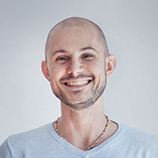 Boyko is one of the founders of Nop-Templates.com. He is responsible for the development and the support of the nopCommerce plugins and themes. He is keen on technologies and loves going to tech events and reading tech blogs in his spare time. Similar to the other two co-founders Boyko is a keen snowboarder, who never let his fear of heights stop him from free riding down the steepest mountains. In the summer he loves playing tennis or just chilling out with friends. Rayna has been working in advertising before joining forces with our team. She is the person behind content creation, product, and brand marketing. Soon after starting in the company Rayna did what could not be achieved by this motley crew of developers – maintaining order and discipline and making sure that every deadline is being met. As a result, the Quake 3 Arena tournaments are now being played only once or twice a month. In her dreams, she gets relocated and working for the company from a sunny beach, somewhere on a deserted island far away in the ocean sipping rum and enjoying the silence. 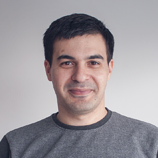 After spending several years in web development and web design, Hristo joined the Nop-Templates.com team in 2012 as a senior front-end developer and a web designer. Being both a web designer and a front-end developer you would think that one of them would be lacking. 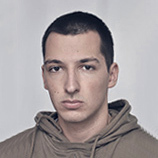 But just on the contrary, Hristo is the developer who refactored the whole of nopCommerce, the beautiful markup that all nopCommerce developers nowadays work with. He is also the man behind some of our most successful nopCommerce designs. In his free time, if not hiking in the mountains, he is switching to sound design and digital music production in his home music studio, which has seen the product of several albums already. 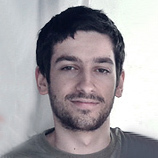 Hristian is a .NET developer and a part of the plugin development team at Nop-Templates.com. He has the uncanny ability to be very precise in his work while and at the same time understand very well and never lose focus of the big picture. His excellent work can be seen in our newest nopCommerce plugins. He is also indispensable to the company because he takes care of the in-house gaming infrastructure, making sure that the game server and network work flawlessly with all team members on board. His geeky side is complemented by his sports ability. Hristian is the company most valuable football team goal keep and is a friend at table tennis too. 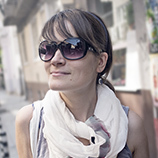 Niki started as a Content & IT Facilitator for the company back in 2013. It took him only a few months to realize that he is absolutely passionate about front-end development. Without thinking twice, he embarked on the mission to officially get a degree in this field from the brand new Software University in Sofia. It took him only a couple of years of hard work to become a valuable member of our front-end development team and we are very proud of his professional growth. When Niki started in the company he was only 22 and he loved spending most of his free time going out with friends and partying. Back then his biggest challenge at work was to arrive on time in the morning for the Scrum meeting. Not much has changed since then. By now the rest of the team has accepted the fact that Niki is not a morning person. Yet, they never miss the chance to joke that being late has become part of his job description. Anton is our valuable QA and the only member of our team, who gets asked for an ID at the liquor store. 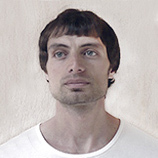 Anton is still a student at the Technical University of Sofia, where he is completing a degree in software engineering. His passion for technology is only surpassed by his passion for his favorite football team Beroe. Anton has not missed a single game in the last 5 years. This is what we call a proper football fan. In his free time, Anton likes playing the guitar and going for a run. For him running has turned into more than just the usual morning stretch in the park. Anton is determined to run one of those mountain marathons in the future. 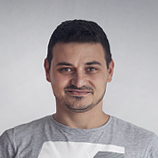 Stoyan is a developer by profession and a car fanatic by heart. He has completed the Telerik Academy for software engineers with flying colors. He is absolutely passionate about science, engineering, and technology. Stoyan is a fan of DIY and is not afraid to get his hands dirty. He likes to assemble and disassemble things and to build machinery that works. He has built the engine of his car from scratch and let me tell you it hasn't missed a stroke to this very day. When not working on his car, you can find Stoyan talking about his favorite cars from the 80’s & 90’s or going to automobile shows where he can talk about cars with other fellow car addicts. Two things truly amaze Metin - programming and craftsmanship. Although programming and craftsmanship do not have much in common, they both require you to be patient and to stay focused. Metin is really good at tackling code with patience and persistence. The result is always a job well done. 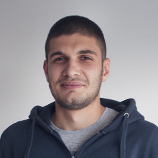 Metin is interested in .NET, Java, C/C++, artificial intelligence, and solving puzzles for fun. He likes learning new things and exploring new opportunities in his professional field. In his free time, Metin likes hiking in the mountains and reading books. 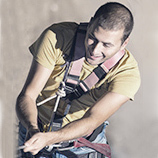 Tsvetan graduated as a civil engineer at the University of Architecture, Civil Engineering and Geodesy in 2010. He spent the next few years building climbing walls around the world. 2015 was a life-changing year for him. He learned about the Telerik Academy through friends and decided to give it a try. He quickly realized that civil engineering is a good profession, but coding is his true calling. The career change was the right thing to do. Since then he has been working as a software developer. A true outdoors lover, Tsvetan spends his free time in the mountains where he gets away from the hustle and bustle of the big city. When not hiking he likes reading, watching movies and hanging out with friends. A good pair of shoes and a good sense of humor are two of the most important things in life for Valentin. 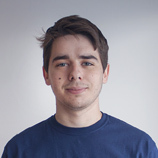 He is one of our valuable front-end developers and someone who is not afraid to experiment. He has a bachelor degree in software engineering and a master degree in web design but for him, the number of degrees is not what makes a person successful. He welcomes everything new with a smile and truly believes that the best things in life happen when you are out of your comfort zone. Valentin thinks that a person should never stop learning and likes to say that he has learned the most important lessons from mistakes. A good conversation and a cup of coffee are a perfect start of his day. He likes to have his evenings reserved for a sci-fi book or a memorable adventure movie.